The 21st century will go down as the innovation century characterized by emergence of new, disruptive technologies. Yet, even as technology change lives, a stand out in the last four decades has been the emergence of cross border and international money transfer accross different jurisdictions with varying regulations. For you easily wrap your head around it, the remitance market is currently estimated at $55 trillion. From that humongous amount, charges stands at $31 billion–which is huge and what’s even paining is that the whole process takes around three to four days. Ironically, despite the obvious gap, there was no immediate solution that could allow for same day or even instantenous settlement of funds. However, this was not going to last. In 2004, Ryan Fugger designed the Ripple project. His intention was to create a decentralized monetary system that could effectively empower people and communities to create their own money. This was practically before the official launch of Bitcoin in 2009. Five years later, Ripple, a remittance company based in San Francisco was founded by Chris Larsen and Jed McCaleb. This company had ambitious plans. It planned to revolutionize money transfers by reducing the transfer time from a few days to a few seconds. A stand out though is that the company actually has a longer and deep history. Developments didn’t stop there. In 2011, Jed McCaleb began developing a digital exchange system in which transactions were verified through consensus among network members. A year later, Jed McCaleb invited Chris Larsen. The two sought to address Ryan Fugger with their concept of digital currency. However, a couple of months later, Ryan Fugger bailed out leaving Jed McCaleb and Chris Larsen to set up OpenCoin. Since then, the progress made by Ripple has bee nothing short of explosive. Last year for example, the Ripple team developed three products: XCurrent, XRapid and XVia. The XCurrent product is currently being used by more than 100 companies around the world. Of all the products, as stand out is XRapid, which implicitly uses the XRP digital asset. Besides the speed and scalability, the use of XRP as the bridge currency in cross-border transactions allows the elimination of our nostro accounts. XRapid, utilizes XRP and in return XRP is an on demand fiat corridors for XRP/EUR, XRP/USD, XRP/JPY , XRP/MXN, eliminating the need of nostro accounts. 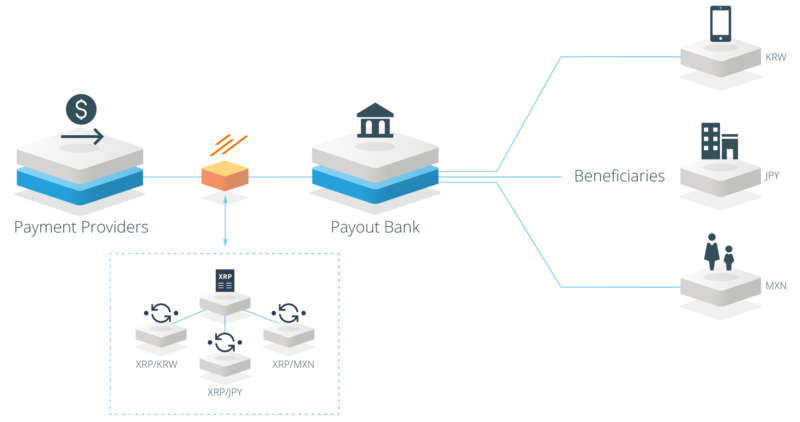 This alone enables instant settlement effectively disquaifying the need of latency prevalent in classic money transfer system. There are a couple of companies piloting the project as they look to incorporate the efficiency of XRapid. Thus far, the product has been proven useful after successfull USD/MXN conversions tests by Cuallix in 2018. The conversion made use of XRP as a liquidity tool converting USD to XRP via supported US exchanges and later XRP to MXN through Mexican exchanges with settlement completed within seconds. This year, several companies are testing Xrapid. Some of them include: MoneyGram, Currencies Direct, Mercury FX, Western Union, IDT, Cambridge Global Payments, Viamericas. Insitutions piloting Xrapid aside from Cuallix are Zip Remit and though not substantiated, SBI plans on using the efficiency of Xrapid. The question that is on everyone’s lips: Will Ripple replace SWIFT? I’m convinced this is not the right question to approach this situation. Besides, I think Ripple is not yet ripe to replace SWIFT but I see a room where they shall coexist within the same market segment. What we should be asking ourselves is: Will Ripple succeed in the coming years, become a leader in the cross-border money transfer market and secure a 50% market share in the future? At present, SWIFT is a monopoly in the remittance market. History shows that a market leader is hard to dislodge. Encouragingly though, Ripple might after all have the muscle to overcome and become a winner in this supremacy battle against SWIFT. What are the arguments that make me think Ripple will succeed? First, we can talk about speed of fund transfer or settlement. Through SWIFT, it will take at-least four days when moving funds between different continents. A transfer made through XRapid is settled within 4 seconds at most. This year, financial institutions piloting XRapid reported savings of up-to 70 percent which is another blow to expensive SWIFT. Another argument in favor of Ripple is the talent and seriousness of the project and the team. Ripple is also very good at lobbying and have key connections that would later steel their very existence and/or success. Through their vibrant marketing department, the compnay managed to convince personalities such as Madonna and Ashton Kutcher to advertise the company. Besidees, this year, former US President Bill Clinton shall give a keynote at the SWELL 2018 conference. SWELL 2018 is an event initiated by Ripple. The road that Ripple will take to dethrone SWIFT will be hard if not next to impossible to say the least. We project a slow and gradual process that will undoubtedly take years. At first, Ripple could work hard to clip between five to 10 percent of the total remittance service before it develops the much needed impetus. Needless to say, the battle for supremacy largely depends on how Ripple deploy XRapid but most importantly how SWIFT repsonds to competition. No doubt, liquidity concerns should be a priority for Ripple and how they devise fitting solutions is entirely dependent on their strategic approach. The good thing is that they are hard at work. This year they have ramp their support and XRP is available at several exchanges accross different continents. As a matter of fact, traders can deposit or withdraw XRP for fiat as USD, GBP, JPY, CAD, MXN or Euro. That’s not all, some exchanges and funds are making XRP base thanks to the efficiency and speed it tows along. Additionally, Ripple have been on a decentralization drive and so far, it has been successful to say the least. From the reliable data, the number of non-Ripple validators exceeds 50 percent meaning Ripple is not in charge and consultation must happen before implementation of any on-chain development. What do SWIFT have in place to Wade Off competition? I did try to find data about ways of improving or modifying the SWIFT messaging service for this article but it has been hard. On the official site, we did not find any concrete data on improving the SWIFT messaging service. Though they say there are plans of updating their software, there are no specifics on what they will improve. However, I found some interesting information about SWIFT. In July 2018, SWIFT recorded an average of 30.5 million FIN messages per day. Traffic grew by 9.5% versus July 2017, bringing the year-to-date growth to + 11.7%. As you can see, the number of SWIFT daily messages have increased year on year. This means the market is continoulsy expanding. Some believe Ripple will dethrone SWIFT in a few years. I’m not convinced of that. At the moment, Ripple is nascent but SWIFT has matured and is the most dominant fund transfer service and a stead for banks. Nevertheless, it’s not a crowded market and Ripple can comfortably secure a spot in the cross border transfer marekt. They can coexist on the same market segment, as Samsung competes with Apple or Intel with AMD. In fact, the competition between two companies on the same market segment is something normal in the world economy. Finally, over the years, it will be enough for Ripple to reach a 40-50% market share to be able to say that the company is a success. 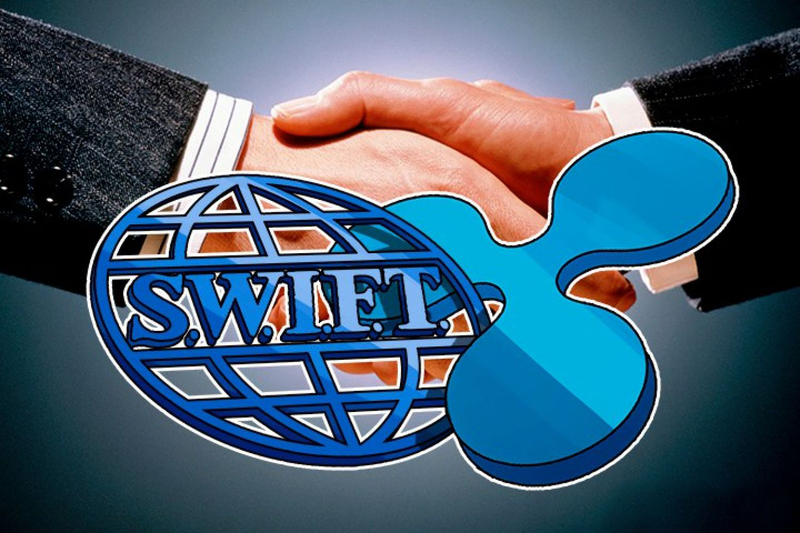 SWIFT–as long as it improves speed, remains a messaging service while Ripple rides on blockchain technology. With this innovative technology at its disposal, SWIFT will never eliminate the need of nostro accounts and instantenous settlment. To succeed, SWIFT should invest and create their own blockchain technology—an expensive task which will take time before it is perfected. If Ripple deploys XRapid to as many financial entities as possible, we will be witnessing a real revolution in years to come. It will be an intense battle but in such battles often technology reigns supreme. Therefore, unless SWIFT shape in and innovate, it will be rendered obsolete by Ripple.